I recently visited the central Philippine province of Negros Occidental on account of a business trip to Himamaylan City. During the trip, me and my colleagues were able to experience some of the culture of the Negrenses either through transit and by deciding to take on side trips. We hopped on a 10:00 p.m. bus bound for Bacolod City at the North Bus Terminal in Subangdaku, Mandaue City, Cebu, Philippines. The bus would travel from Mandaue City to the northern Cebu town of Tabuelan where it will be ferried across the Tañon Strait to the northern Negros Occidental city of Escalante en route to Bacolod City passing through Sagay City, Cadiz City, Manapla, Victorias City, E.B. Magalona, Silay City, and Talisay City. It was an uneventful ride and I slept mostly through it. When we got off the bus at Bacolod City at around 7:00 in the morning, our senses marveled at the sight before us. What we saw was a spot clean passenger terminal with modern amenities it felt more like an airport than a bus terminal. We were more amazed when we took to answer the call of nature at their air conditioned public restrooms. 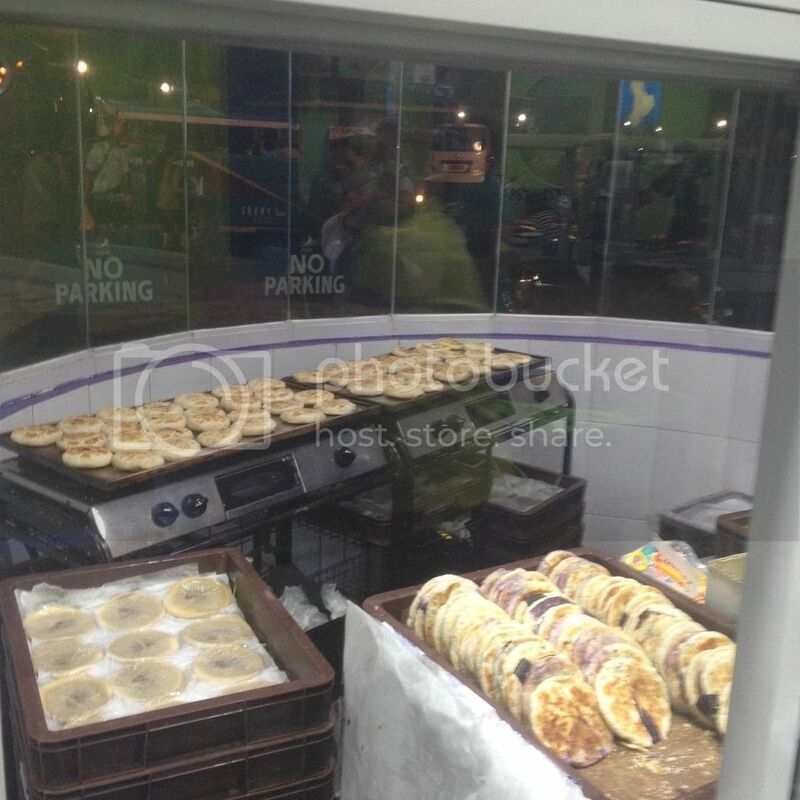 It was a long trip and the first thing we did was look for breakfast. 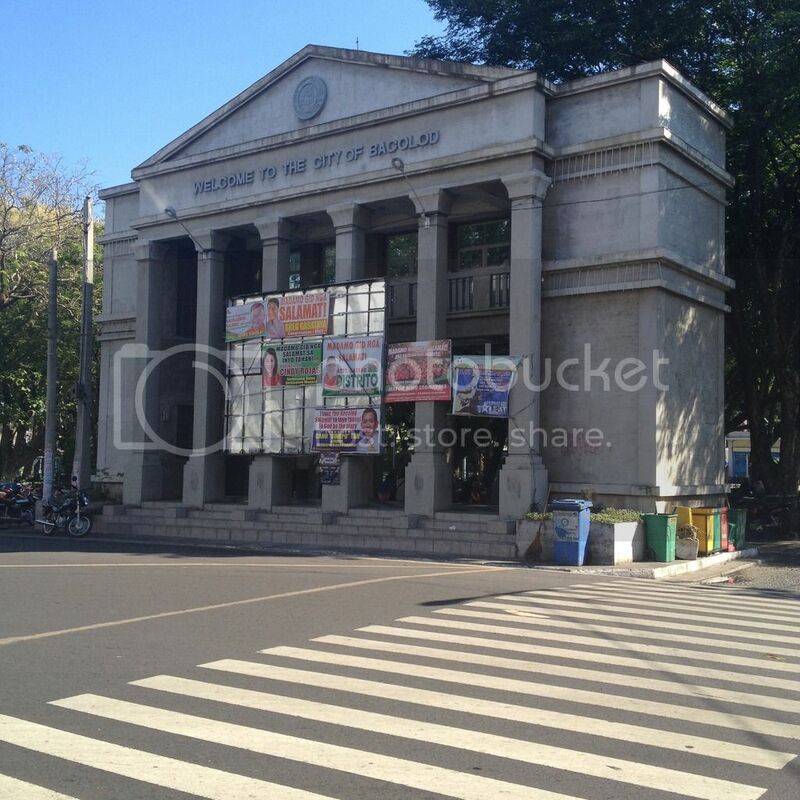 We headed to Manokan Country right by the SM mall in Bacolod City. It was Bacolod City's famous chicken inasal we were hoping to have. Unfortunately most stalls were still closed but we chanced upon one open stall and settled for it. While we know there is not much to see in public plazas elsewhere in the Philippines, we were surprised to see how much history there is at the Bacolod City Plaza. So we checked it out. Right across the Bacolod City Plaza was San Sebastian Cathedral, the seat of the Roman Catholic diocese of Bacolod. I was travelling with old souls and as such I just knew they will be fascinated with historical structures, never mind that not anyone of us can be considered devoutly religious. 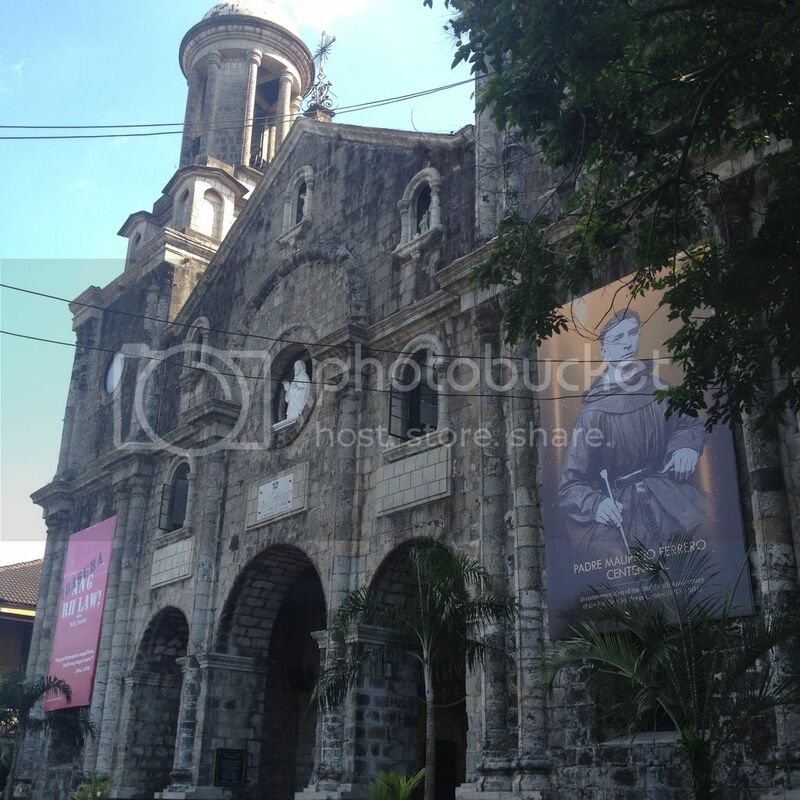 Built starting 1876, this Spanish colonial-era church is more than 140 years old. Right beside San Sebastian Cathedral is the Bishop's Palace or Palacio Episcopal. Built in the 1890's, it has also survived the challenges of the times including a major fire in modern times. After quite a tiresome tour of the Bacolod City Plaza, the San Sebastian Cathedral, and the Bishop's House, we headed to Calea to try their cakes. People have always suggested a visit to Calea when dropping by Bacolod. True enough, their cakes were delicious and we raved about the choco mud pie and the pecan pie a la mode. Other cakes we ordered were the imported chocolate cake and the pecan caramel cheesecake. Just a few moments after we finished our cakes at Calea, we were off to lunch at Old Palapala along San Juan Road in Bacolod City's Barangay 6. We bought lobster, squid, shrimps, and fish at the nearby market and went to Nening's Tulahan to have it cooked. 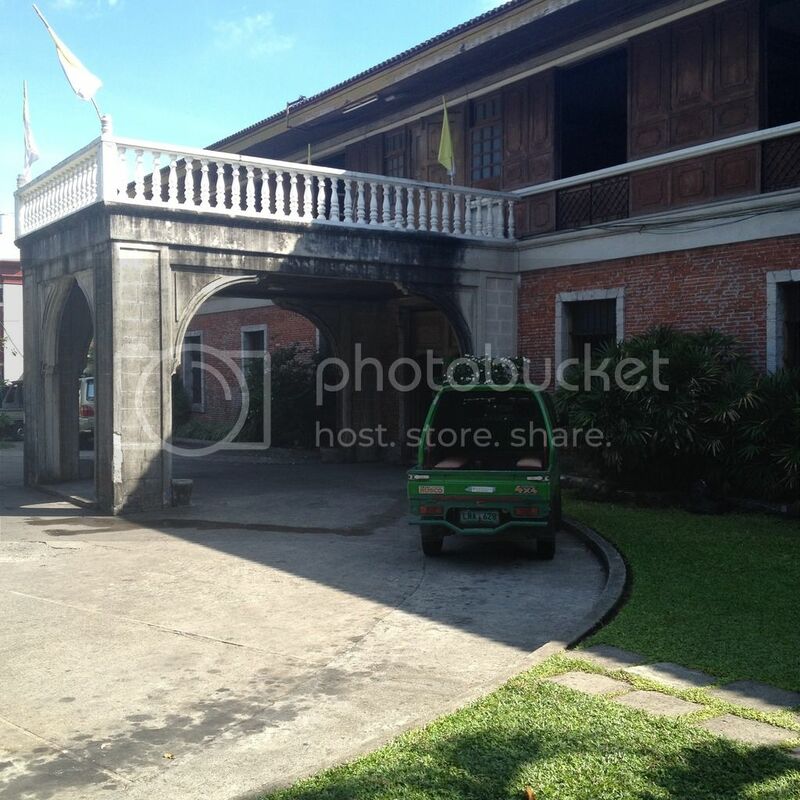 The place was highly recommended by the cab driver who drove us from Calea to the Old Palapala. It was late afternoon when we left the Silver Dragon Construction office in Bacolod City en route to Himamaylan City in the south central part of Negros Occidental. We will be facilitating the team building program for Silver Dragon Construction employees at the Sy's vacation house in barangay Saraet, Himamaylan City, Negros Occidental, Philippines. The Sy family owns Silver Dragon Construction. On our way to Himamaylan, we marveled at the imposing presence of Mount Kanlaon on the countryside landscape. We were also in awe of the beautiful sunset as we traversed a very quiet and remote road. As we passed by towns, we also enjoyed spotting churches, plazas, and other olden structures along the way. 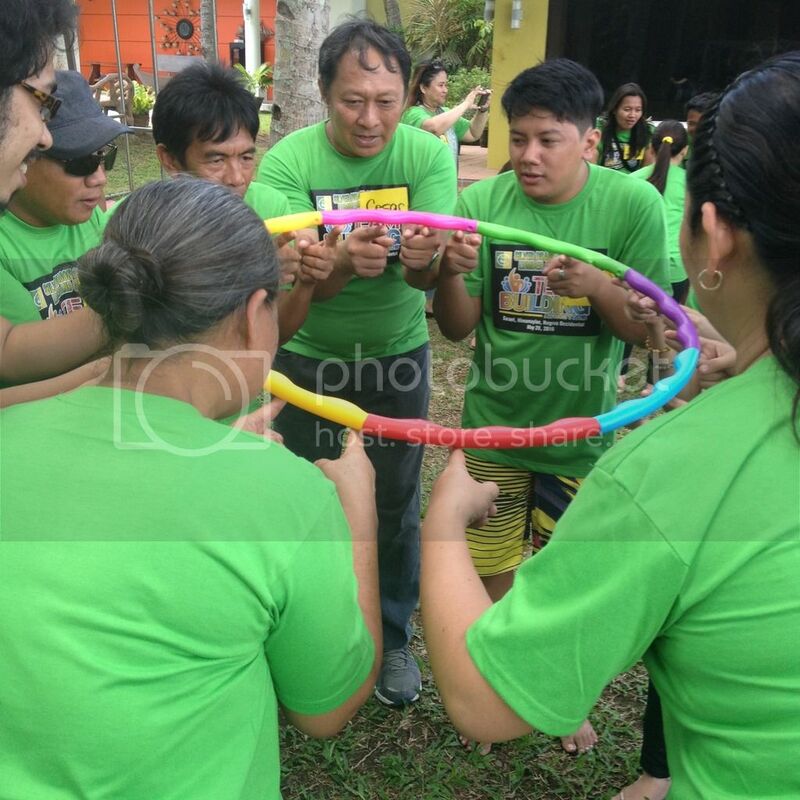 Our main reason for traveling to Negros Occidental was to facilitate the team building program of line managers from Silver Dragon Construction at the company owners' rest house in Himamaylan City. We were all down to business on 29 May 2016. Upon our return to Bacolod City from Himamaylan City, we waited for our good friend Dave at the Bongbong's Pasalubong store near the Bacolod City Plaza. Bongbong's is a household name when it comes to buying delicacies from Bacolod City or Negros Occidental. On our second night in Negros Occidental, we had late dinner at Diotay's Palapala when a friend of ours took us there. Diotay resembles the trade at the Old Palapala minus the cooking charges. Their goods are sold at higher prices though. It seemed like Diotay's was the popular choice for locals. We had buttered garlic shrimp, tangigue (mackerel) fish steak, and sinigang na ulo ng tangigue for dinner. 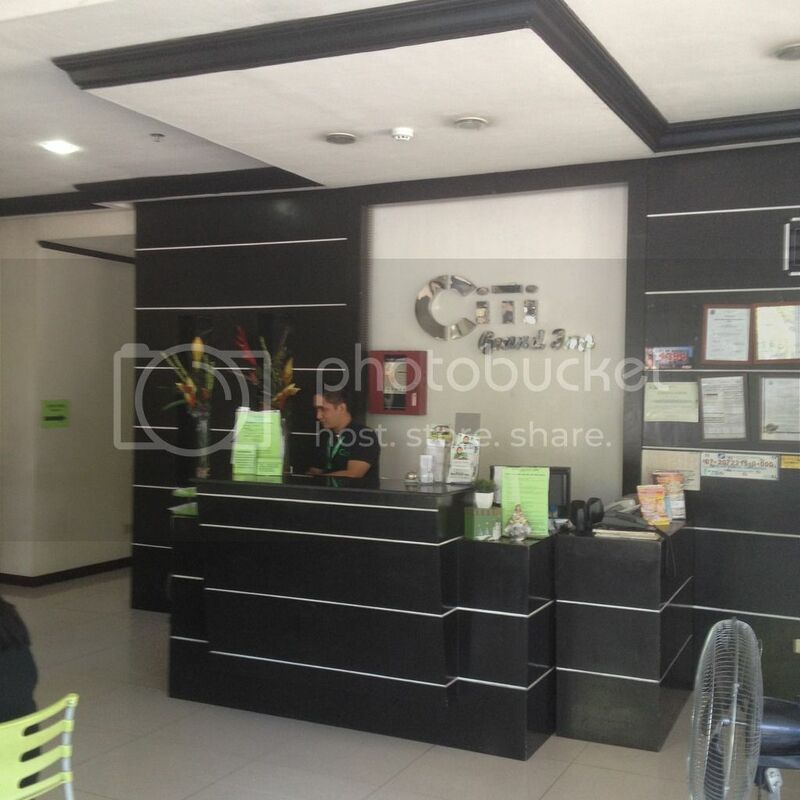 After a long day, we checked in at the Citi Grand Inn in barangay Taculing. It was a basic hotel, nothing fancy. But it's perfect for us who just wanted a comfortable place to rest before we hop on a tour the next day. After we settled down at our hotel, we went to grab a few bottles of beer at MO2 Bar and Restaurant at Goldenfield Central in Bacolod City, Negros Occidental, Philippines. The area used to be a red light district with many strip bars until it got converted into a commercial space in recent years. One round of Red Horse, one round of San Miguel Light beer, one serving of onion rings, a serving of pork sisig, and some good music from a live band was enough recipe for a fun night. Click here to read more about the Negrense Native Coffee in Bacolod City, Negros Occidental, Philippines. A friend of mine says you have never really been to Bacolod City or Negros Occidental if you have not been to one of the native Negrense coffee shops. So we on our last day in the province, we went to GL Cafe for some pakalog breakfast consisting of pan de sal, kape, and itlog. Coffee at the place was prepared the traditional way and for PhP 550, we ate a hearty breakfast for four (4). Another household name when it comes to Bacolod City or Negros Occidental delicacies is Merczi's. Before we left Bacolod City, we dropped by to shop for some treats. Our friend offered to drive us to San Carlos City where we would take our boat ride going home to Cebu. 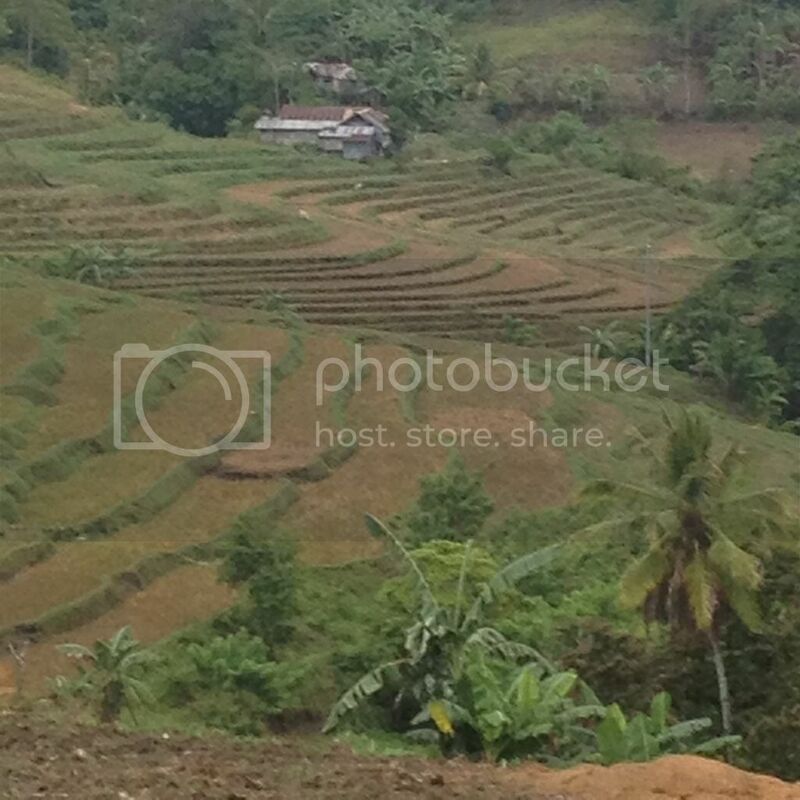 We asked for a stopover so we could take photographs of the rice terraces located between the town of Don Salvador Benedicto and the city of San Carlos. 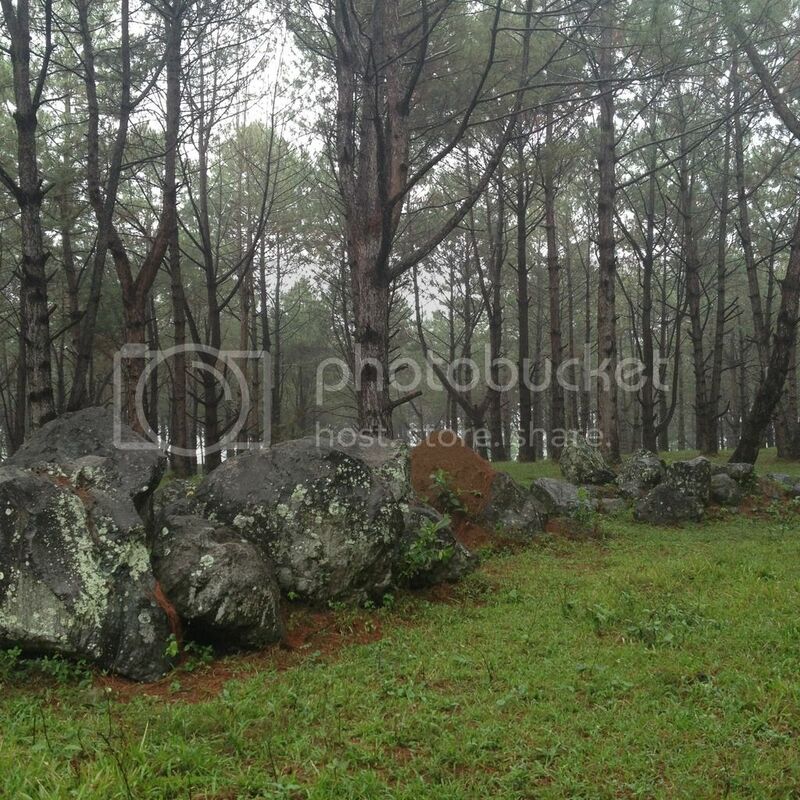 We made another stop at the pinewood forest in Don Salvador Benedicto town. The man-made forest sits atop a private property. We came in through a gap in the perimeter fence along the highway and admired the red pine trees and its foliage that turned much of the ground red. 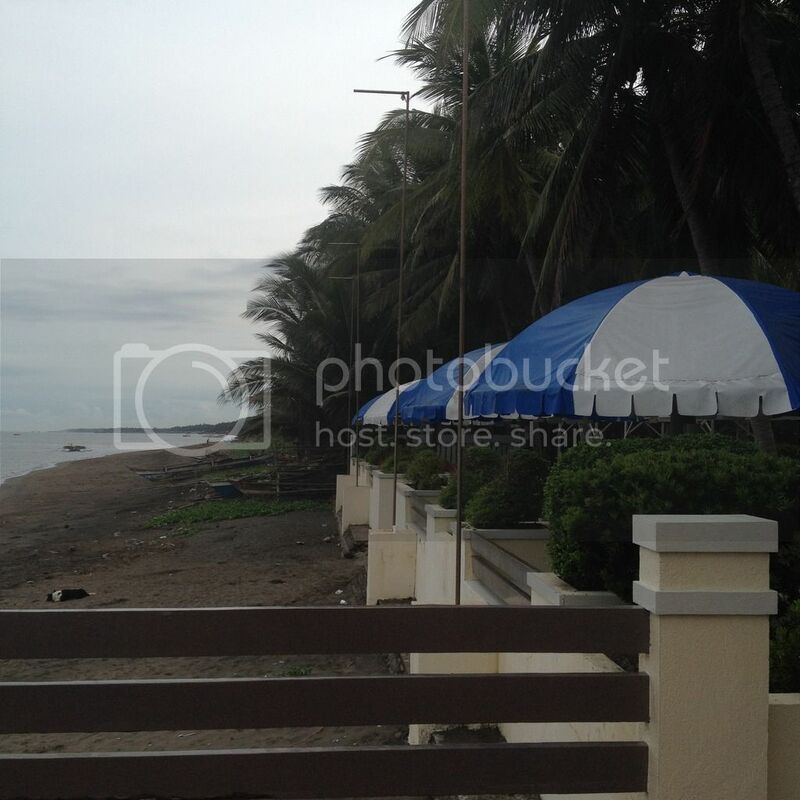 We got dropped off by a friend at San Carlos City. As fate would have it, the fast craft trips bound for Toledo City in mainland Cebu were fully booked when we got there at late morning. After having lunch at the newly opened Chicken Deli branch in San Carlos City, we headed off to the pier and we were told we will not be able to take the 3 p.m. ferry trip as that too was fully-booked. So we had to fall in line to get tickets for the 6:00 p.m. trip. Since it was a roll-on/roll-off vessel, they had to prioritize those with vehicles and their accompanying passengers making us wait and hope that there will be tickets left for us. We were already trying to consider other options such as looking for a pumpboat somewhere to take us across to mainland Cebu or taking another bus to Escalante City and riding a ferry to Tabuelan town instead. But just a few minutes before the ferry for Toledo City left, lady luck smiled at us and we got the boat's last three (3) tickets on the 6:00 p.m. trip and we arrived at Toledo City at a little past 8:00 p.m. After we had dinner at McDonald's, we took a tricycle to Sangi and hopped on a van for hire that took us back to Cebu City.